Anthem’s take on guilds is called the Alliance System, and it will allow players to stick together and earn rewards for the entire collective. Still, the developers are reluctant to call them guilds, and claim that proper guilds will be added to the game at a later date. It’s a bit of a mess, but they’ve explained in a recent Reddit post how alliances work, so scroll down for a detailed breakdown of the feature. The alliances (or pseudo-guilds) will give players the opportunity to be part of a group and be rewarded for it. After you join, every time you complete an expedition of every kind, you’ll earn experience not only for yourself, but also for the alliance’s coffers. This goes for every member of the group, as well as people from your friends list. At the end of the week, the alliance XP points are converted into cold, hard cash, which is then divided among all those who helped make it happen. There’s no word on how much money you’ll be able to earn this way, but we know there will be tiers, and there will be a weekly cap. Don’t expect to get rich quick this way, but it’s going to be an additional source of income in the game, which is always welcome. 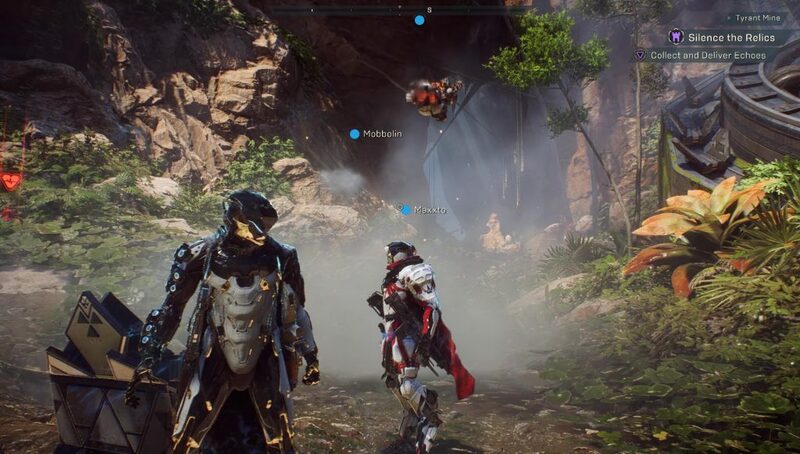 While we believe the Alliance System is a great way to encourage social interaction with Anthem, we also understand Guilds play a critical role in helping players form organized groups with people of similar interests and play styles. Our goal is to release guilds as soon after launch as we can. Details on timing will come as soon as we have our plan locked in. We want this to be awesome.